Do you want something to look at all year for 2013? I've got it! 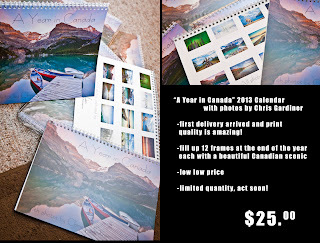 My new "A Year in Canada" 2013, twelve-month full colour calendars! Each month is a different scenic image, so at the end of the year - you have twelve great prints to put in some frames to accent your house! Let me tell you - the print quality is amazing, even better than I was expecting, so I am certain you would be happy too! To be honest, I didn't even invest in these myself. 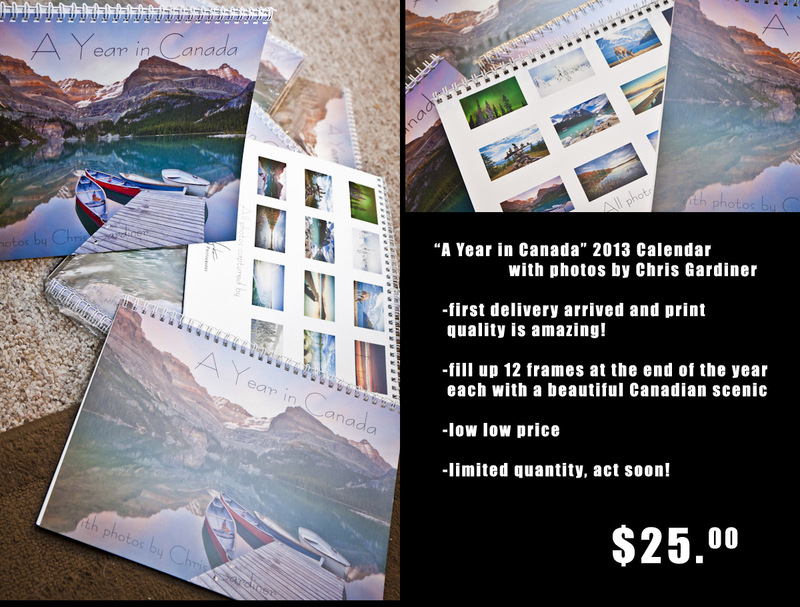 My amazing girlfriend asked for a Canadian Calendar design, and I did it - she ordered it, and snatched up a sweet online sale while she was at it. We have a couple dozen of these, but a bunch have homes already, so act fast!